Most of the Xiaomi Mi 6 user want to how to install play store app or Install Google Play Store on Xiaomi Mi 6. Most of the Xiaomi lover bought this new Mi 6 phone from the Chinese market, and the Chinese market phone don’t come with the Google apps. That means you can’t enjoy and Google service or Google apps on your Chinese Xiaomi phones. Xiaomi Mi 6 is the latest phone in the market and comes with some decent specs and features. And all these Chinese Mi 6 phone are don’t preloaded with Google application like Gmail, Youtube, Google Search, Google Play, etc. 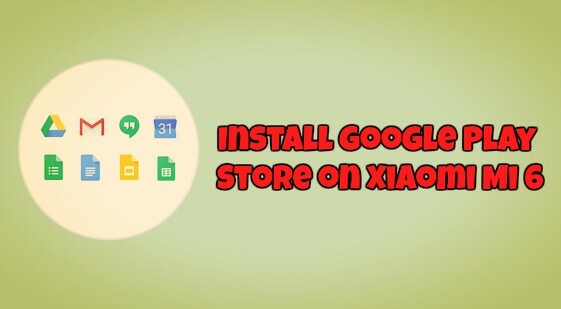 So how to run these lay store application on your phone, hee is the full guide to include Google Play Store on Xiaomi Mi 6. This guide will work both rooted and non-rooted phones. So that mean you can google services on non-rooted phone too. Below is the full description to Download and Install Google Apps for Xiaomi Mi 6. 0.1 Why Google Apps in Xiaomi Mi6? Why Google Apps in Xiaomi Mi6? If you an Indian user and bought the Mi 6 from the Chinese online store or from the Chinese market. Then you won’t find and google play store application on your phone. Due to some Licence Issues, many Xiaomi phones like Mi 6. So to enjoy your favorite apps and games on your phone, you need to setup the Google play store eon your phone. Installing Google Apps on Xiaomi Mi 6 is very simple, all you need to download the Google Apps Package and restore it. Visit this link and download the latest bundle of Google Apps for your Xiaomi Mi 6 phone and extract the folder on your desktop. In the extracted folder you will see the “Allbackup” folder. 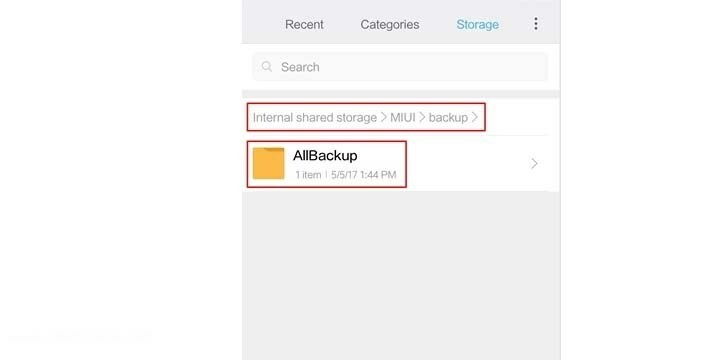 And move the AllBackup folder to “Internal storage\MIUI\backup” in your device. (If backup folder isn’t there, then create one). 1. Once you downloaded the Google Apps file from the above mention link and saved the same on your Mi 6 phone. 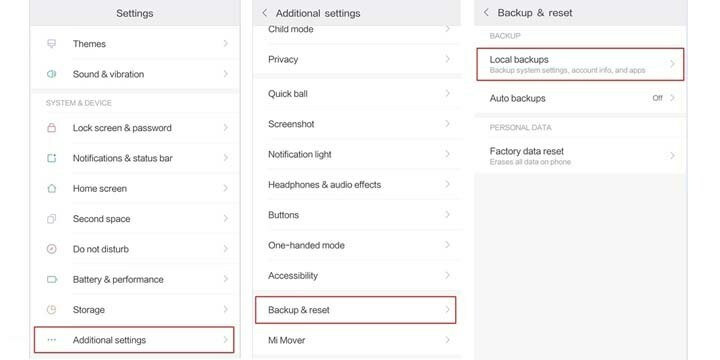 Go to Phone Settings -> Additional Settings -> Backup & reset and select the Local backups option. 2. Now here you will find the backup folder that you saved before on your phone. 3. 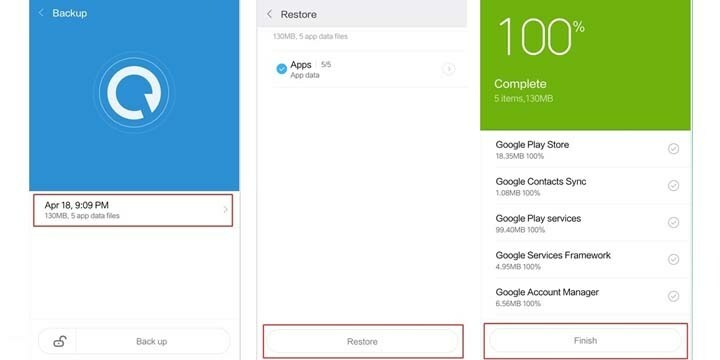 Select it and tap on the “Restore” option to install the Google Apps. 4. Once completed. Restart your device, open Play Store app and wait for a second for checking info. Login with your Google account, now you can use Play Store on your device. 2. Go to Settings > Installed Apps > Google Play Store > Uninstall. Now you can enjoy all the Google play services on your phone. 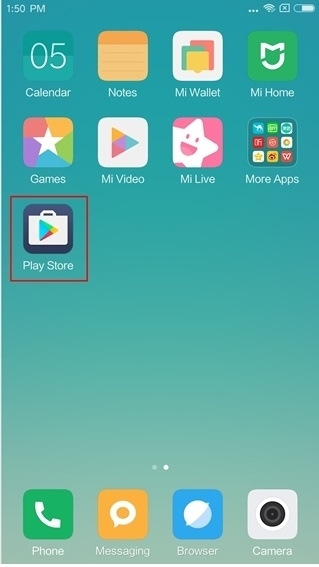 If the above guide will not work for you then try the guides Google Play Store for Redmi Note 3 & Xiaomi Mi 5, How to Install Google Play Store on Xiaomi MIUI 7. If you have any doubts, comment below. Hello, will this guide work also for Mi6 X?